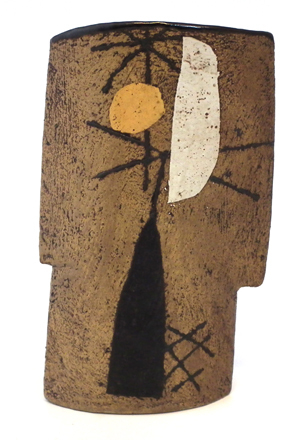 Work by such luminaries as Lucie Rie, Takeshi Yasuda, Warren Mackenzie, Shoji Hamada, Michael Cardew, Bernard Leach and John Maltby figure in the sale of a private collection of Contemporary British pottery amassed over 60 years by an enthusiast who turned his hobby into his profession. The Ken Jones Collection of more than 120 pieces appears in our Fine Art sale to be held on July 5th and 6th 2017. Seventy seven lots of British Studio Pottery from the private collection of potter Ken Jones (1930-2011) to be sold as part of our 5th -6th July Fine Art Sale. The collection represents more than 60 years of his devotion to the craft he loved so dearly. Fellow collectors will need to look hard for his impressed or incised ‘KJ’ maker’s mark but there are a couple. Instead, these are pots Ken purchased from makers he admired most, either after meeting them in their studios or at exhibitions. Some came from the International Ceramics Festivals in Aberystwyth, which he attended regularly. Others were from potters who were his friends or whom he invited to give demonstrations during visiting lectures. Several also came from galleries or serendipitous finds in charity shops where his knowledge and understanding of the skills needed to produce them paid dividends. However, if he confirmed subsequently that a purchase from the latter was valuable, he would return and give more money to the charity. Ken was born in Tylorstown in the Rhondda valley and studied at Cardiff College of Art, where Head of Art, the renowned artist Ceri Richards CBE, taught him painting and drawing, while his pottery teacher was the influential Frank Vining. After graduating Ken began teaching at Brynmawr Comprehensive School in Ebbw Vale, and as a lover of making things, his attention soon turned to art pottery, which he embraced with gusto. He was a founder member of South Wales Potters with Vining as honorary vice president and was their first exhibitions officer. Ken organised the first SWP exhibition in London and was also instrumental in gaining acceptance of the society’s separate identity representing Wales by the International Academy of Ceramics in Geneva for its worldwide exhibition in Istanbul. Today, South Wales Potters is one of the largest groups of professional and hobby potters and ceramicists in the UK. Ken’s ability to inspire others led to him securing a lectureship with the West Midlands College of Education and he and his family moved to Walsall in 1968. He was subsequently appointed head of the art department and remained there until his retirement. During his time there he trained many young teachers, inspiring them by inviting artists and potters into his lessons to give demonstrations. 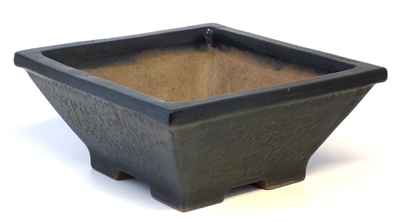 His love of the subject also rubbed off on his son, David, who in 1986 with the aid of a grant the Princes Youth Business Trust, founded Walsall Studio Ceramics, an internationally renowned ceramics studio which produces finelt crafted bespoke pots for bonsai growers. Ken was a familiar sight helping out there in his retirement, passing on his knowledge and enthusiasm. 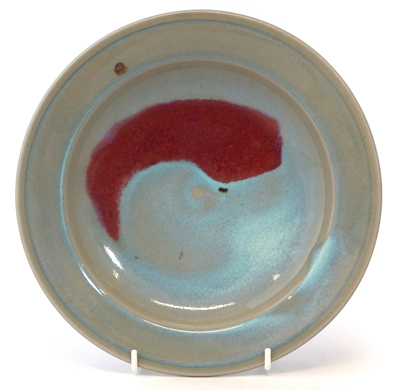 Lot 237 - Derek Emms (1929-2004) shallow bowl, decorated with a red stipe on celadon glazed ground. Estimated £100 - £200. 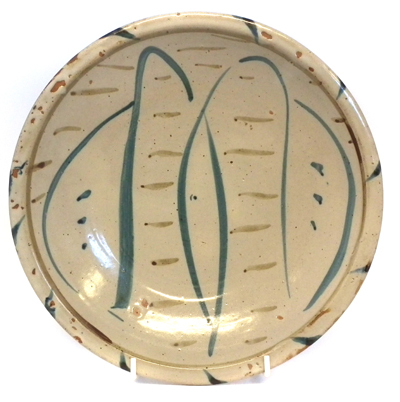 Lot 233 - Michael Cardew shallow dish, painted with line motifs. Estimated £150 - £250. Lot 263 - John Maltby vase. Estimated £300 - £500.